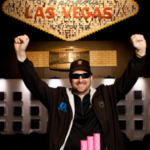 Ever since Phil Hellmuth became the all-time leader in bracelets won at the World Series of Poker, with his 11th exactly 4 years ago today, there’s been a lack of movement at the top of the leaderboard. 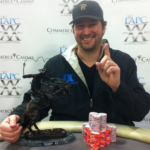 Neither Hellmuth, nor his closest competitors, Johnny Chan and Doyle Brunson, have been able to claim another victory. 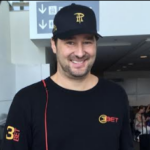 Many critics have argued that Hellmuth’s best days were behind him and that he was unlikely to succeed again, especially as every single one of his bracelets had come in Texas Hold’em events, which have swelled in size into the thousands of players. Hellmuth came within 1 player of rewriting history, but ultimately fell in 2nd place to John Juanda at the just-concluded $10,000 buy-in 2-7 Lowball World Championship. An elite field of 126 players entered the event, meaning only a select group of 14 players would cash. 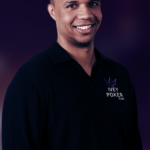 Many of poker’s top talents were able to navigate their way through the field and into the money, including ElkY (Bertrand Grospellier), Brandon Cantu, Chino Rheem, and even 10-time WSOP bracelet winner Johnny Chan. Chan would ultimately falter in 12th place, however, as one of the most decorated final tables in World Series history took shape. 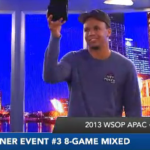 Eight of the final 9 players were former bracelet winners, including former Main Event champions Greg Raymer (2004) and, of course, Hellmuth (1989). Nick Schulman, David “Bakes” Baker, Hasan Habib, and Steve Sung were among the other big names to feature at the final table, but in the end they all proved no match for the big headliners: Hellmuth and John Juanda. Juanda, the winningest player still alive in the event after Hellmuth with 4 bracelets of his own, provided the “Poker Brat” with stiff competition, and the two titans battled it out for over 4 hours before Hellmuth ultimately succumbed. For his 2nd-place effort, Hellmuth took home almost a quarter million dollars, while Juanda walked away with over $367,000. Undoubtedly more important, however, was the championship bracelet.